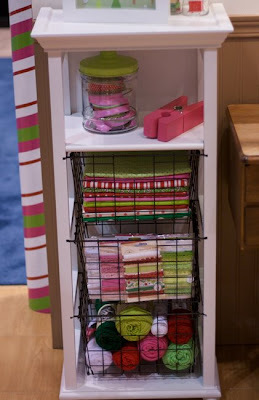 While at CHA, I covered the Doodlebug Designs booth and fell absolutely head over heels in love with their new storage line. 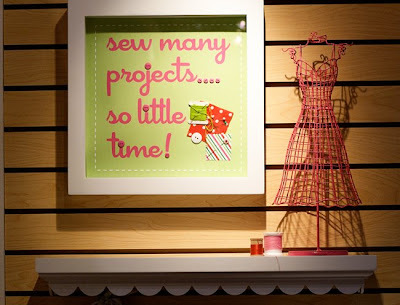 Mainly because it was something that would look fabulous in my scrap room!! Have a look see. What do you think? Would this be something you would put in your scrappy place? 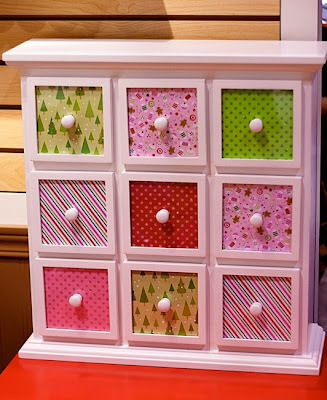 I love it all, especially the little drawer one with all the different pp as the front of the drawer, too cute! I can see all of this being a bit hit if their price point is right. 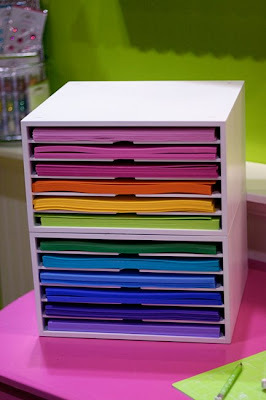 I love the paper storage. I would definitely buy a couple of those units. The last photo, of what looks like a demo scrap space, is lovely. I would do my scrap space like that if I were doing a re-do and it was feasible. Are they available in Canada? LOVE the paper cube...where do I get one? 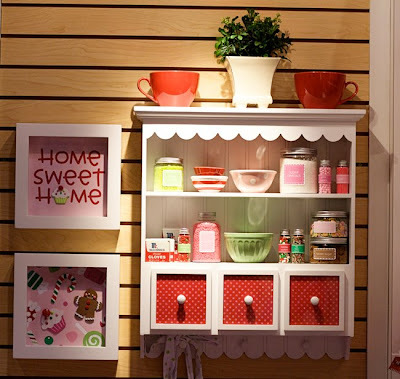 Awesome storage - totally will have to purchase some! I would TOTALLY put this stuff in my area if I had room. I hope some day soon to have my dream scrap room. I love it. You can decorate however you would like. Very cute design!!! ABSOLUTELY, without a doubt! Love it! Love this!!!! This is now at the top of my must have list. Do you have any prices to share with us?? When/where will it be available? Ohhh heck yeah! It's gorgeous and would look really good in my scraproom! Oh dear-that's downright depressing. Does anyone really live in such a neat orderly world? this is awesome! I love the cart with the baskeys. Too cute! Gorgeous! My studio is a hodge podge of stuff I picked up all over the place. What lovely storage!